Our glue has been a favorite glue for professional lash artists in Korea. 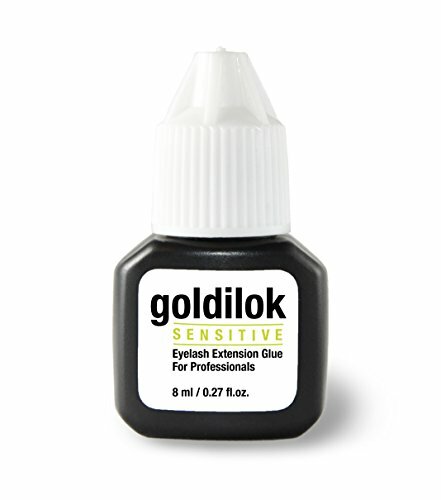 Our glue is loved by the lash artists because of the safety, quality, speed, and durability. It is perfect for a person with sensitive eyes. It is formulated with relaxed drying time of 5 to 7 seconds and medium viscosity (it is not thin like water) to allow experienced lash artists a flexibility to precisely place a lash and demonstrate their expertise. It is Black in color to allow the dried glue to blend in with the eyelashes. Formulated with medium viscosity to allow artists flexibility to precisely place a lash and achieve best results. Our glue is provided with precision applicator nozzle that allows for accurate dispensing of the glue and clog free nozzle. Our glue is shipped with air tight sealed bag with silica gel to preserve maximum freshness before it is opened. After the bottle is opened, the use of air tight bag will extend the affective life. All our waterproof glues and lash removers are made with highest quality medical grade ingredients and carefully tested to ensure the highest quality and safety standards. All our eyelash products are manufactured in accordance with strict ΔE QualityAssurance program and each product has been subjected to safety checks and documentation. Material Safety Data Sheet (MSDS) are available for all our products. Our glue is provided with easy squeeze sides and precision applicator tip that allows for accurate dispensing of the glue. The matching screw-on cap keeps the nozzle clog free and the glue fresh. For maximum storage life, stored in 5ºc/40ºF. Bring to room temperature and shake well before using. SAFETY & QUALITY: Quality Made in South Korea. Our Eyelash Extension Glues are premium grade that is made with highest quality medical grade ingredients and carefully tested to ensure highest quality and safety. If you have any questions about this product by goldilok, contact us by completing and submitting the form below. If you are looking for a specif part number, please include it with your message.